Enjoy another summer of Bible Prophecy teachings with Bill Salus at Calvary Chapel Grants Pass, Oregon. 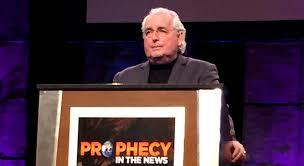 Every Sunday night at 6:00 p.m. Bill Salus will presenting a Bible Prophecy message. Click HERE to listen to past Prophecy in the Pass messages.